Christmas may be over, but I have a chance for you to win a fantastic prize! M. Tara Crowl is the author of the middle grade series Eden’s Wish and Eden’s Escape. 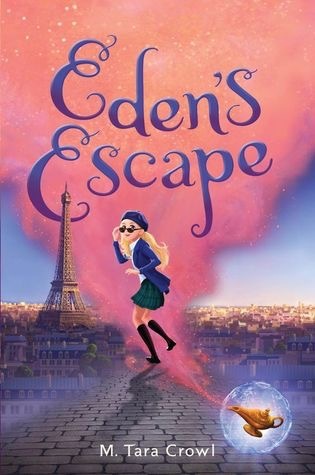 She’s joining me today for a Q & A and she’s generously giving away one signed copy of Eden’s Escape! The Rafflecopter is at the end of this post. Read on for more information about the series and the Q & A! All twelve years of Eden’s life have been spent in an antique oil lamp. She lives like a princess inside her tiny, luxurious home; but to Eden, the lamp is nothing but a prison. She hates being a genie. All she wants, more than anything, is freedom. When Eden finds a gateway to Earth within the lamp, she takes her chance and enters the world she loves. And this time, she won’t be sent back after three wishes. Posing as the new kid at a California middle school, Eden revels in all of Earth’s pleasures–but quickly learns that this world isn’t as perfect as she always thought it was. Eden soon finds herself in the middle of a centuries-old conflict between powerful immortals. A ruthless organization run by a former genie will stop at nothing to acquire the lamp and its power–even hurt Tyler and Sasha, the new mortal friends who have given Eden a home. To save her friends and protect the lamp’s magic, Eden must decide once and for all where she belongs. Eden’s new life on earth begins in New York City under the guidance of her new guardian: Pepper, a petite, bubbly genie alum who’s also a Broadway actress. Before she has a chance to settle in, though, Eden is whisked away for a granting–only to find herself trapped in a laboratory. David Brightly, owner of the world’s leading tech company, cares more about tapping into the lamp’s power than making a wish and starts performing tests on Eden. With Brightly’s plasma shield around the lamp, Eden has no way home. Left without a choice, she escapes the lab and goes on the run. After her daring exit, Eden finds herself on the streets of Paris–home to Electra’s headquarters. Left in a strange city with a price on her head (courtesy of scheming Brightly), Eden has to keep her wits about her. She dons a chic disguise and flits around Paris incognito, investigating Brightly Tech. Assisted by Pepper and her old adversary Bola, as well as some new friends, Eden embarks on a quest to retrieve the lamp and protect the secrets of the genie legacy. Most days, I walk to the restaurant my husband owns in our neighborhood, and we eat breakfast there. Sometimes I stick around and write there for a while, but usually I head home to work. My perfect writing environment is quiet and comfortable – usually, my sofa in my living room! When I was a kid growing up in Tennessee, I was a big bookworm. And from as far back I can remember, I wanted to write books like the ones I loved so much. But in high school, I decided that I wanted to make movies instead. After graduation, I moved to LA to attend film school at the University of Southern California, and after college, I worked in Hollywood for two years. I loved what I was doing, but I also realized that I was never going to be happy if I didn’t take a shot at writing my own stories. So I left LA and moved to Sydney, Australia for a Master’s program in Creative Writing at Macquarie University. I’ve been writing ever since then. Roald Dahl, Madeleine L’Engle, and Kate DiCamillo are a few of my favorite children’s authors. Matt de la Peña is a huge inspiration too. In a broader storytelling sense, I love thrillers and am inspired by their structure, so books by Patricia Highsmith and movies made by Alfred Hitchcock are important influences for me. I’m currently writing a new book that’s completely different from what I’ve done before. It’s challenging because it’s so different from the Eden books, but I’m really excited about it. Normally I have a general plan for where a book is going to go, and I outline a few chapters ahead, but I try to let the story flow organically. I’ve found that it works better for me when I let the story breathe and come into its own along the way. I have to say my protagonist, Eden. She’s brave, funny, smart, and adventurous. But I also love some of the immortal genie alumni she comes into contact with on Earth. One of my favorites is Pepper, Eden’s guardian in Eden’s Escape. She’s a Broadway actress who’s lived in New York for hundreds of years. She’s bubbly and full of life. I love it when readers email me. But there’s nothing better than a letter written on notebook paper, handed to me by a reader at a school visit. Usually they include drawings too! It totally depends on the scenario. Eden’s Wish took about three years from when I started it to when it sold to the publisher, but I wasn’t working on it the whole time. I was working lots of different jobs, and sometimes I didn’t write for weeks or even months at a time. Eden’s Escape was written under contract with Disney-Hyperion, so I had a set timeline. It probably took about nine months to write that one. Eden. I relate to the way she yearns to explore the world, and feels trapped inside her lamp. Since she’s lived inside the lamp for her whole life, she sees everything on Earth with wonder: the sun, the ocean, animals, all kinds of people, and everything green and growing. Writing about those things from her perspective reminds me to appreciate them for myself. It’s hard to say! Maybe I’d still be working in Hollywood, or maybe I would have left that regardless. Maybe I’d be working with my husband at the restaurant. Or maybe something completely different. Who knows! At one school I visited, a fourth-grade girl gave me a letter that said she loved Eden’s Wish so much, she wanted to read it over and over. I vividly remember loving books so much that I would read them again and again at her age, so that was a pretty special compliment for me. 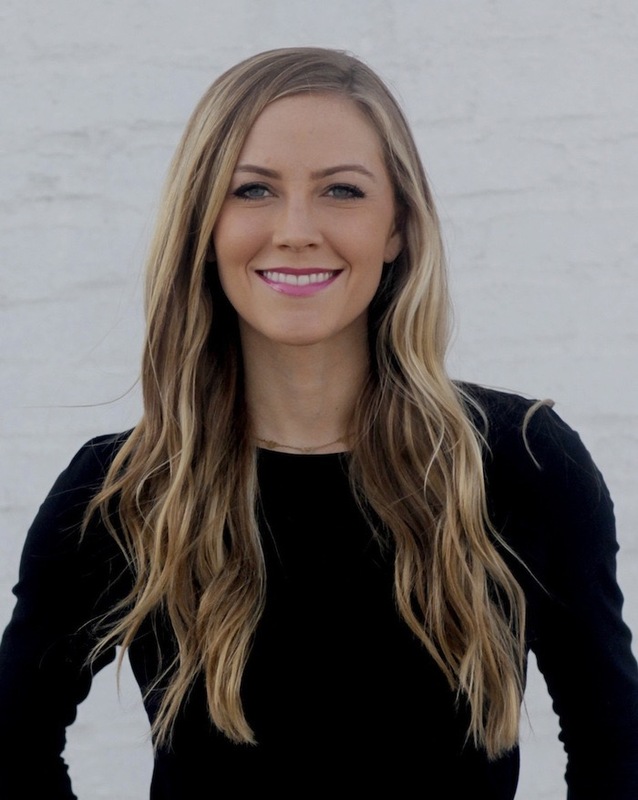 Huge thanks to M. Tara Crowl for answering my questions! Awesome, make sure you enter the giveaway!